When I was doing my master studies in Aalto University, we used to get these pancakes on some Thursdays with pea soup. I don’t remember if it was every Thursday or some Thursdays to be honest, because I didn’t use to eat it. For me, pancake is a very weekend breakfast thing. But this doesn’t mean that this pancake is not tasty – oh no no, it is delicious. 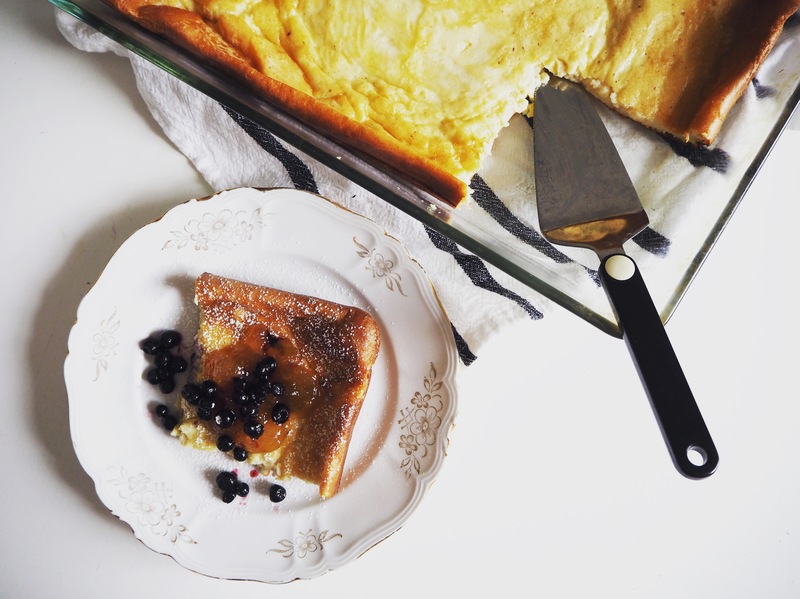 You might even like it more than regular pancakes! 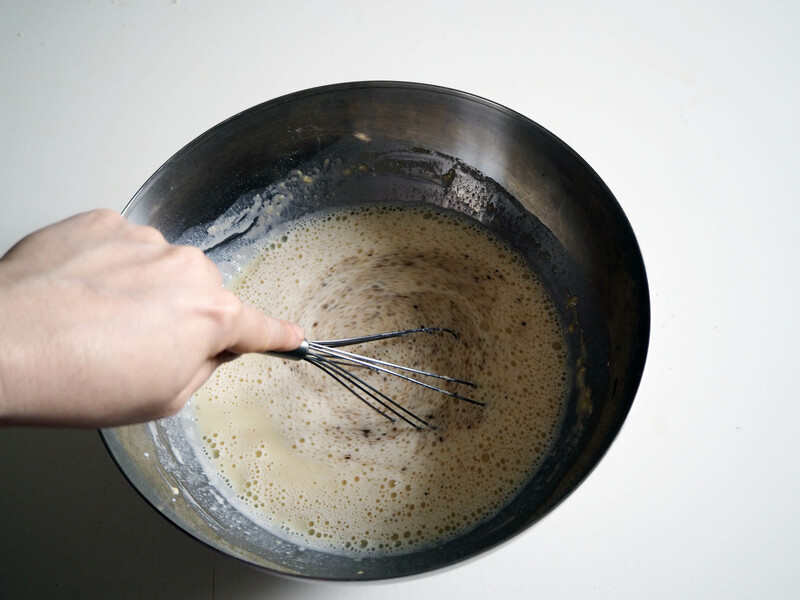 What I like most about it is in making actually – you prepare the batter and then pour it in the oven dish. After that it’s all about the oven work. 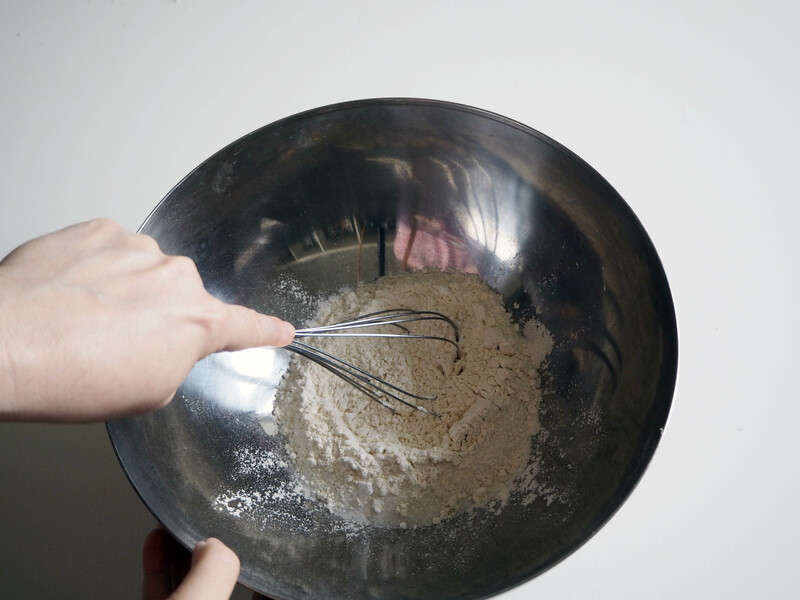 You don’t have to stand in front of the stove, making little pancakes one by one. 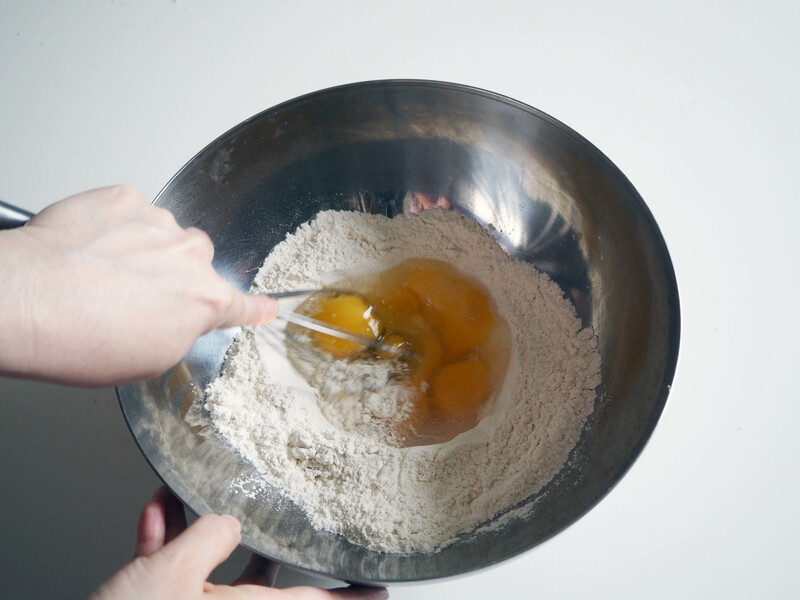 So especially if you’re feeling lazy, this is the pancake to make. Pannukakku is very delicious all by itself, however, like other pancakes, it tastes great with some toppings. 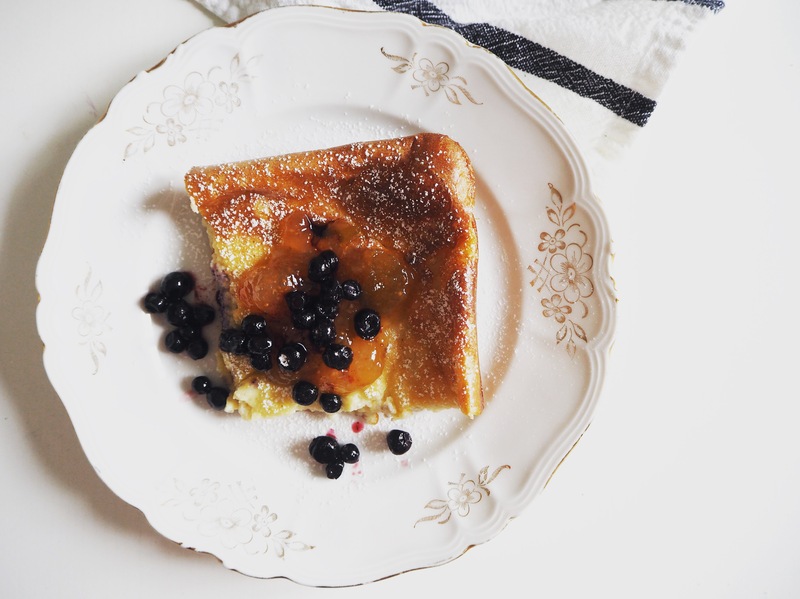 I like jam and fresh fruits, like berries, and a little bit of powder sugar. You can also top it with cream, sour cream, creme fraîche. Enjoy your pancake this weekend! 1. 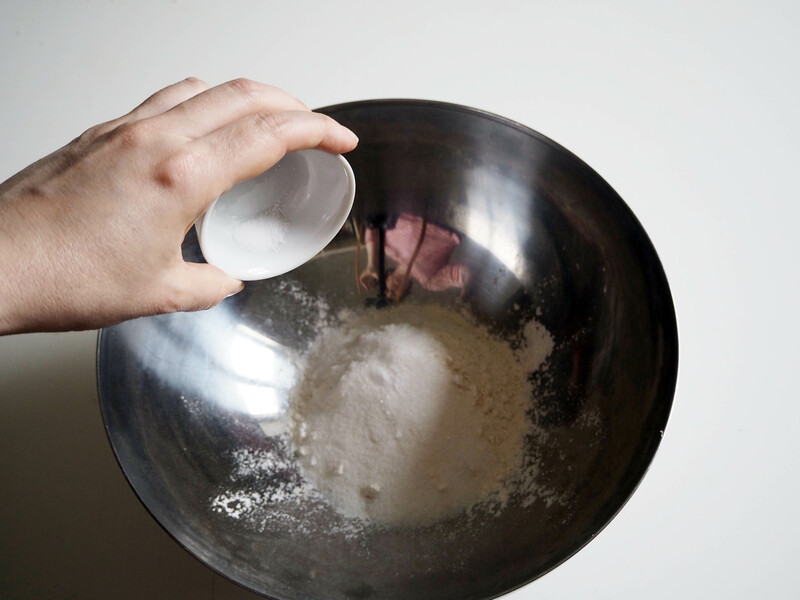 In a big mixing bowl, put flour, baking powder, sugar and salt, whisk. 2. 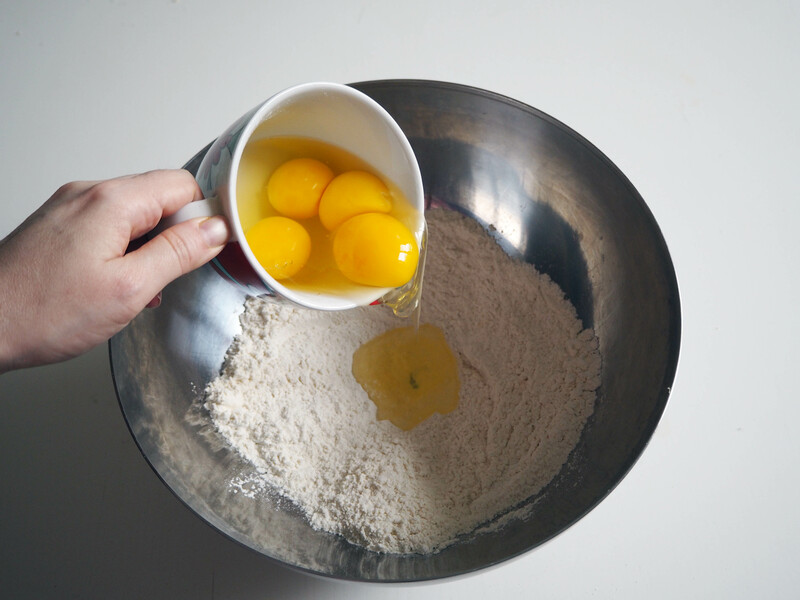 Make a well in the middle of flour mixture, put 4 eggs in the middle and whisk thoroughly. 3. 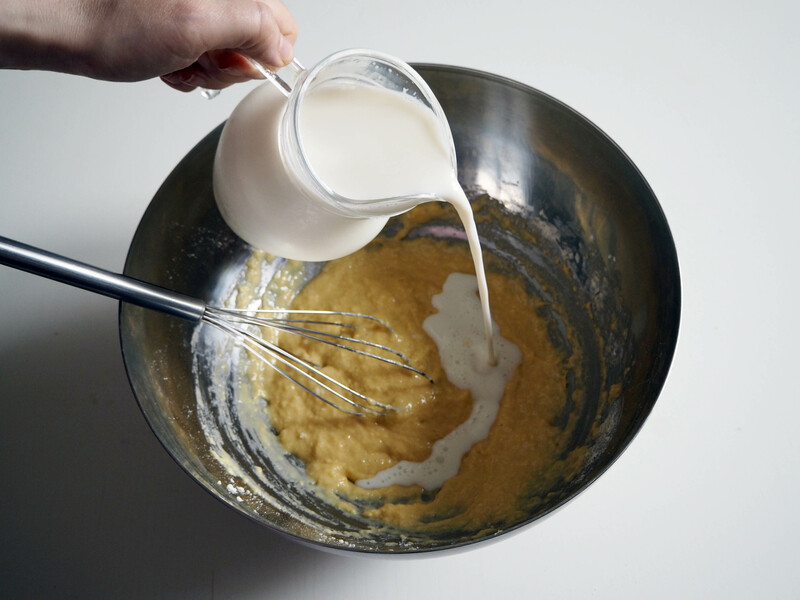 Add milk and cardamom and continue whisking until all ingredients are incorporated. 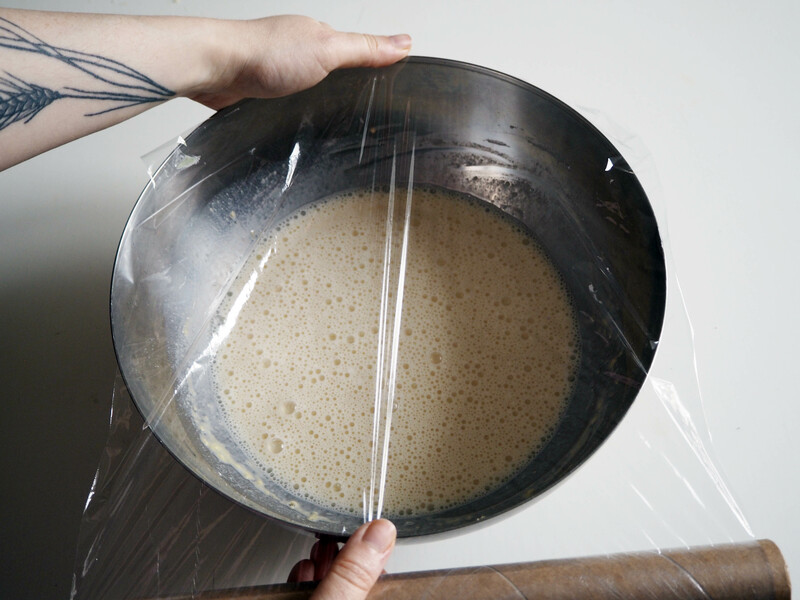 Cover the bowl with stretch film and let it sit for 30 minutes. 4. 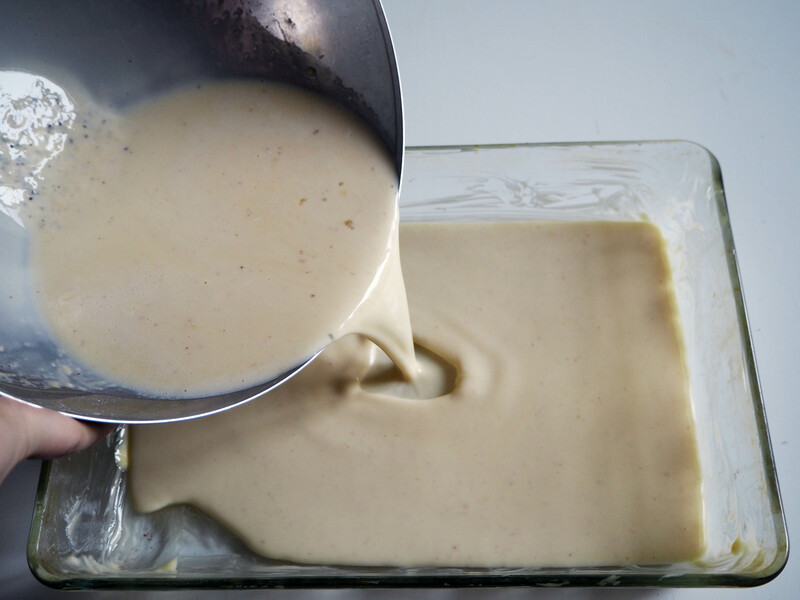 Preheat the oven to 180C and cover the base and sides of your oven dish with melted butter. 5. Pour the batter in the oven dish and put the dish in the oven, in upper rack. Bake for 35-40 minutes, until it rises a little and surface gets golden brown. Serve with toppings of your choice. Enjoy! I am gluten sensitive. 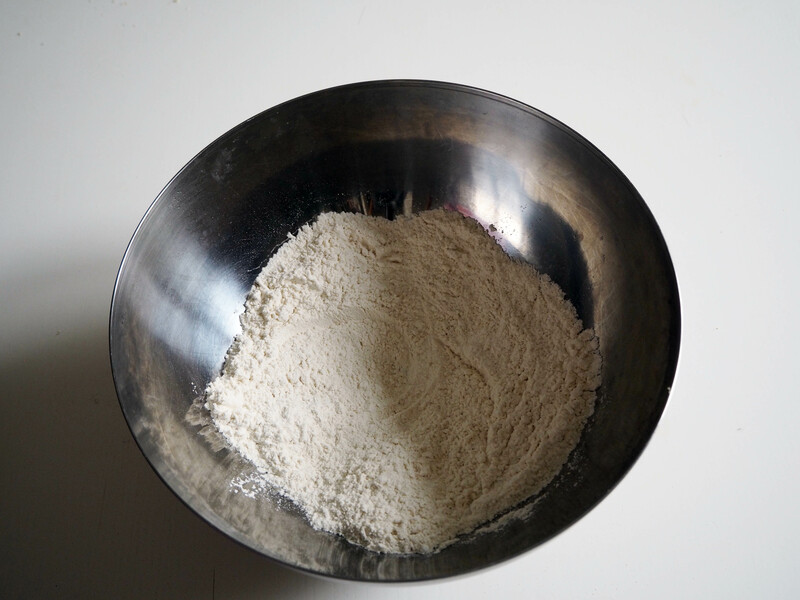 Has anyone made it using a gluten free flour? Hei! 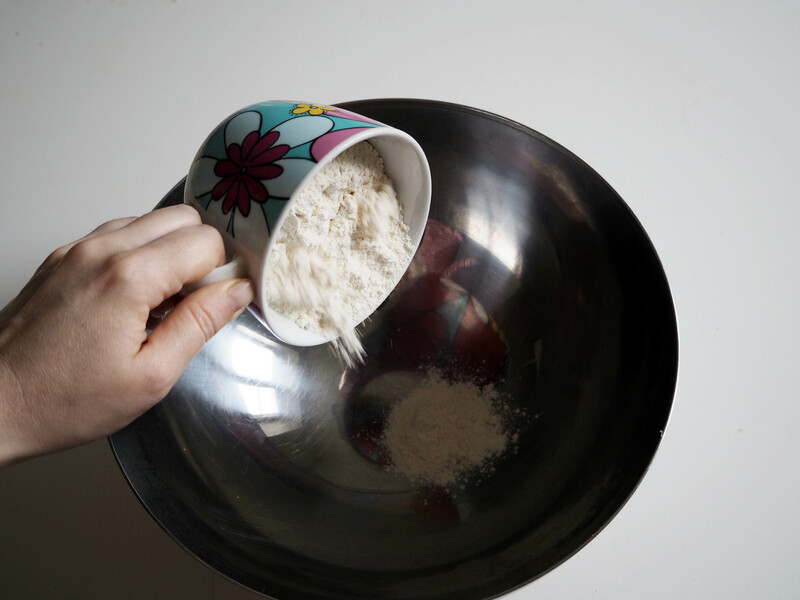 I haven’t tried this with gluten free flour but I think it would be fairly simple to convert – maybe just a bit more flour amount would be needed instead of regular flour amount in the recipe? 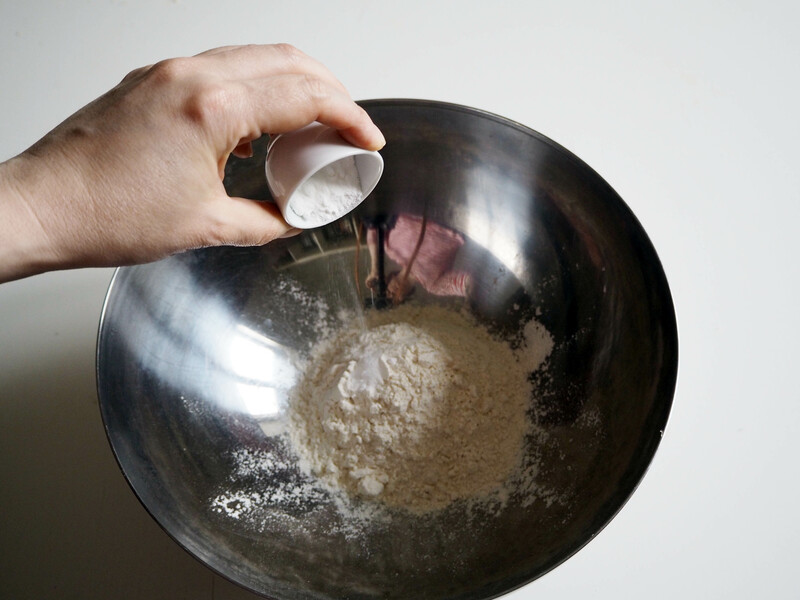 If you make experimentation on this, let us know! Cheers! Das gefällt mir, ist das typisch finnisch ? Cardamom is used in it by every Finnish person I know. Hei! 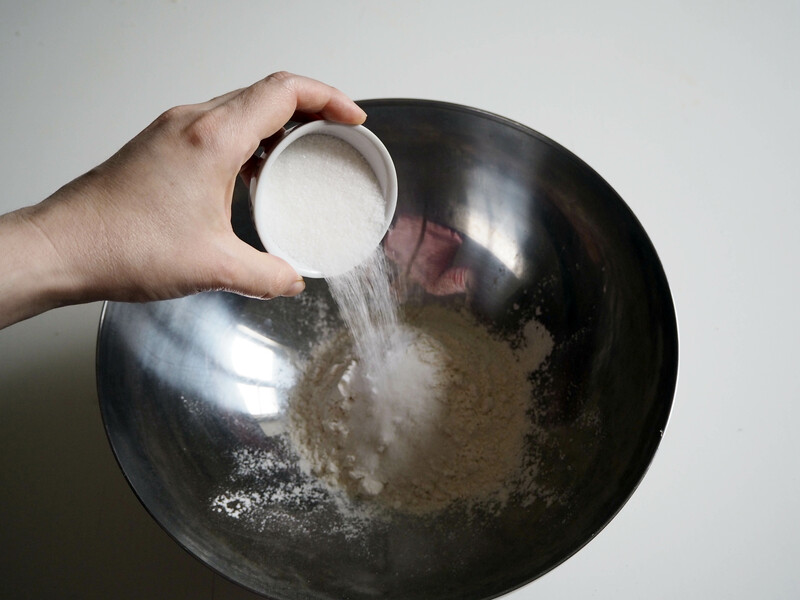 I am enjoying your blog which I happened upon while looking for a recipe for archipelago bread. I’m a big fan of pannukakku (especially omena [apple]) but now we have an egg allergy in the family. 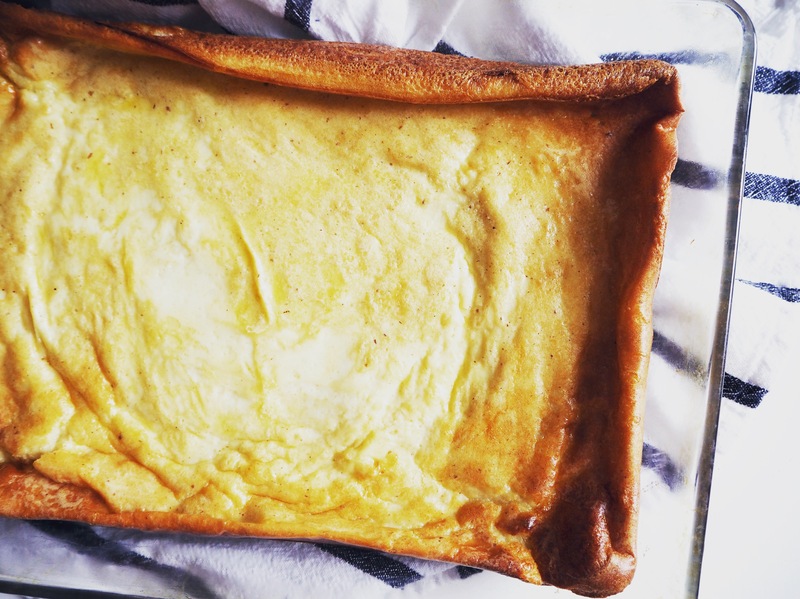 This is quite a dense eggy kind of pancake. 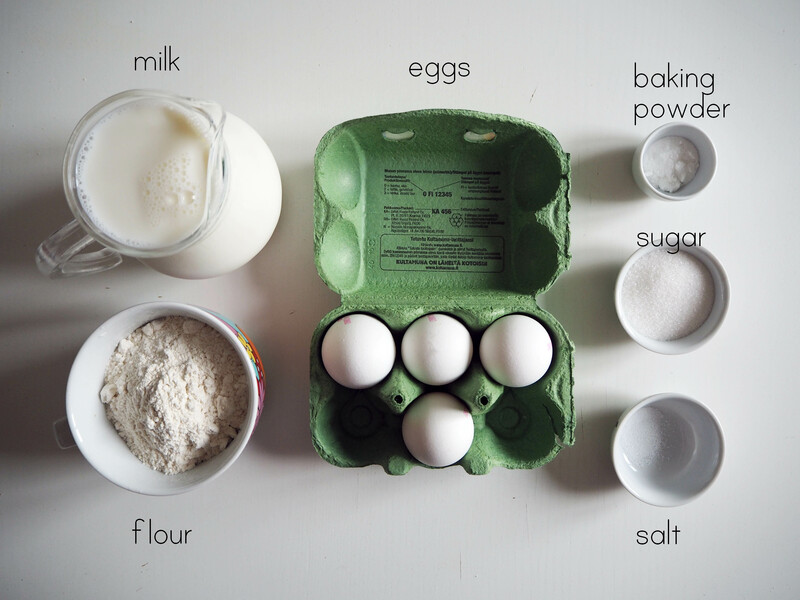 Have you tried any egg substitutes? I’m thinking maybe strained (thickened) yogurt with some extra leavening and perhaps a bit of aquafava. Kiitos! 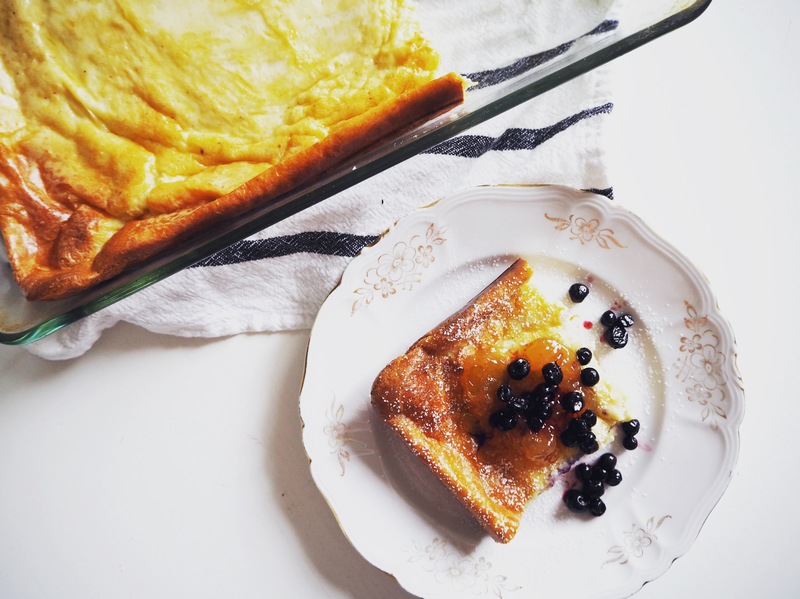 Next PostGluten Free Thursday: Pumpkin Cake – Jeee, Pumpkin Season!